MP3 Download | FLAC Download | WAV Download · Download count: 21,838.
yessssssss! I’ve been listening to this album seemingly non-stop since it first came out on bandcamp. absolutely one of the best releases of the year! Well this ought to be good! Congrats to Globular on another massive release. We love you like fat kids love cake. An AWESOME release here m8!!! Well done!!! Favorite psydub artist by far! Album of the year !! IMHO this sounds even better than the first full album .. more mature sound production. Globular? Brasil? Psy, Dub? Brasil!!! Awesome sounds! This is absolutely amazing, I love the style! Very Original in my opinion, keep up the great work! I’ll be looking forward to the next album! This was a contender for my top 10 psychill of 2013 blog. Really good stuff here, been listening to it a lot. Wow, finaly! It’s amazing, tnx! The album is also available on CD from https://globular.bandcamp.com if anyone out there fancies a physical copy too.. Fantastic release… psy dub at its best…. best album of the year of its kind.. no doubts!! !… full support and respect!!! Thank You, thank You, thank You. Great sonds… I’m anazed. Awesome!!! Globular makes brilliant music! well done! THANK YOU! Will listen to this one all day, thanks for sharing, great music! Best psydub with Ott ! Congratulations man, so much groove and good vibes ! Finally a new Globular album! The track Dance of the Logarithm is amazing! Great music, thanks a lot! congratulations! ive had download you first album, but i liked this much more. not because of the quality both are great, i think its because of a personal moment im getting throw now, music -ambient and dub even more- are SO subjective. My favourites: fire and stars & gateways, the ethnic touch moved me, thankss. knowing that you made it by a cowd funding adventure makes me more proud of you and of the album: independent art rules the true heart of things, isnt it? thumbs up for you from the south of the south. Rosario de Buenos AIres, ARgentina. Fantastic! 5*s from start to finish! GIVE THANKS ! great music to be listened to for ages to come! SUPERB production!! Massive sound, spacey sound-structures, warm bass, masterpiece! Thanks a lot! Most excellent! Truly genius work! Very musical and wonderful! One of the best releases PERIOD! 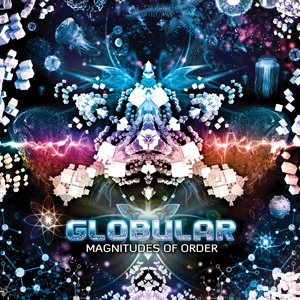 Globular is right up there with Ott as one of THE psydub artists that is a must-listen. Amazing and divinely inspired. Both relaxing and highly interesting to listen to. I can’t say enough good things about this release – it’s the best one yet on Ektoplazm! EXCELLENT. You Are a Master of DUB Music. COngratulations. Great from Colombia. Divine music. How happy I am that I found this web site and this music. It seems to me that this is something I was searching for a long time and I finally found it. I’m very happy. Thank you beautiful people for this music and this unbelievable web site. My dream came true. IMHO, quite simply the best trance artist now or ever. Astounding, beautiful, enriching stuff. Master album, really mature works, thank you very much ! Is there a format of download I can use for my cell phone? Globular keeps amazing me even more with every new release! Excelent artist. Definitely one of my favourites since I’ve first heard his work! what can I say ? I am so excited to be downloading this album …!!!!!!! I listened to a self fulfilling prophecy over and over after downloading it the other day…. I have been buying psy dub and Asian dub fusion for more then 10 years …. globular is a name I will never forget !!!!!! I will give you a donation when I get paid next week your music deserves to give you a fat lifestyle..!!! I am starting a psydub / psychill world fusion cd store in London or maybe abroad sometime soon ..Audio Temple will be its name…. I have already purchased £7,000 worth of stock already and I would sell all of your releases without doubt… if you want a donation towards cd production please phone 00447735034419…peace and blessings david Renaud united kingdom…. Arabesque would take your cd distribution to the best on line and retail stores …. search for them on the web and the man to speak to there is brian..
10/10. Absolutely outstanding in every way. i had it in my mind…and there someone already said it …you are right Fish X..
MAN YOU ARE TOTALLY GIFTED YOUR WORK REALLY FEELS LIKE SOME KIND OF SORCERY..thanx to whatever brought me to it…. thank you almighty for well functioning ears..
you are now officially my new favourite person in the world!! Amazing! Я влюбился по уши в эту музыку! Спасибо большое! С нетерпением жду следующих волшебных мгновений! Oh man, this is AWESOME! I can’t believe I missed this one!